Give Me My Remote > freddie prinze jr.
BONES has been off this month as it waits to return to Monday nights, but the good news is there’s less than two weeks until the show is back. BONES is on the move — again — and will make its Monday debut on March 10th…and the show is kicking things off with the return of Freddie Prinze Jr.’s Danny. 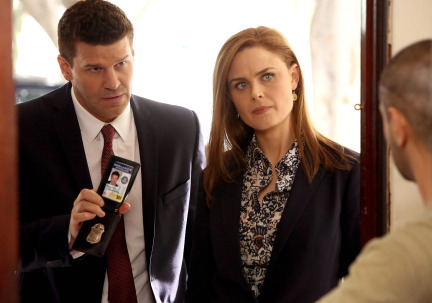 BONES returns with new episodes on Monday, March 10th at 8 PM on Fox. Tags: bones, Bones photos, David Boreanaz, Emily Deschanel, freddie prinze jr.
Freddie Prinze Jr. is coming to BONES, a Fox rep has confirmed. Are you excited to see Prinze Jr. on BONES? Tags: bones, freddie prinze jr.